Cécile Ousset is known for her prestigious career. She has won prizes in numerous international competitions including Marguerite Long-Jacques Thibaud, Geneva, Queen Elisabeth of Belgium, Busoni Italy and Van Cliburn in the USA. 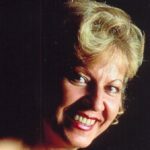 She has performed throughout the world and recorded a vast repertoire, including the concerti of Brahms, Grieg, Liszt, Mendelssohn, Schumann, Tchaikovsky, Rachmaninov, Prokofiev, Saint-Saens, Ravel and Poulenc, under distinguished conductors such as Kurt Masur, Simon Rattle, Neville Mariner, Gunther Herbig and others. She obtained the Grand Prix du Disque for her recording of the Brahms 2nd piano concerto with Kurt Masur. Cécile Ousset has always had a great interest and love for teaching and coaching young talent. This has resulted in many Master Classes in the U.S.A., Canada, Europe, Australia and the Far East. Participation in her annual Master Class in Puycelsi (France) since 1984, is eagerly sought after. She is a frequent adjudicator for major competitions such as the Van Ciburn, Leeds, M.Long-J.Thibaud, the Queen Elisabeth of Belgium and the Arthur Rubinstein International Piano Master Competition.